As I’ve mentioned in previous posts (here and here), I LOVE the one-piece outfit!! 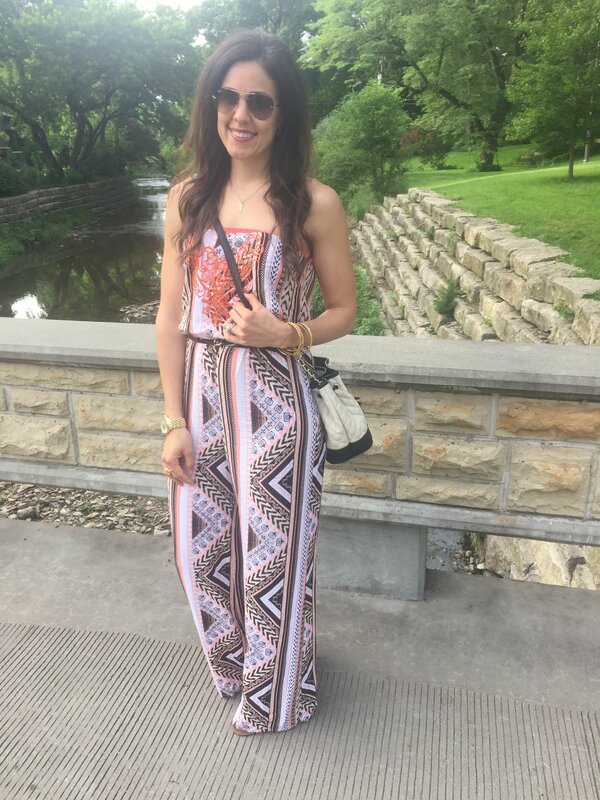 Whether it be in the form of a romper or a jumpsuit, I’m a HUUUGE fan! I just can’t get enough! 1. The Print is amazing. If you haven’t noticed by now, I’m a print and colors kind of girl. Plus, having a fun print means you don’t have to think too hard on accessories because you’ll want to keep them simple! 2. The loose fit and wide leg. I feel like I’ve been seeing more of a tailored, tapered leg and the pant on this mixes it up. 3. It was only $18! Yep, I found it at Nordstrom Rack during one of their Clear the Rack sales. I mean you can’t beat that price!! I couldn’t find anything exact, but link a couple below in the same style!! I pulled it all together with a small bucket bag and a great pair of fringe wedges! Happy Tuesday, hope you all have a Fantastic Week! I always find the best deals/clothing at Nordstrom Rack. This jumpsuit is a great find. This jumpsuit is killerrrrrrr, doll. LOVE the print!